Star is a dealer and wholesale distributor for dozens of manufacturers in the offset and digital printing industry. We carry products from industry giants such as Sun Chemical, Rycoline, RBP, Tower, Van Son, Varn, Allied, Superior Ink, Kerley Ink, and many others. Star was founded in 1986 and for over 30 years has been a trusted supplier for products used by offset and digital print shops in Colorado, and nationwide. Star is under the leadership of Randall Byrd, President. He took over management of Star in 2012. Star operated as a stocking distribution warehouse and ink manufacturing facility in Denver until 2017. In 2019 we rebuilt the business and adapted to the changing world of the printing industry, transforming to an online supplier. This has allowed us to significantly reduce prices with our lower overhead costs, and improve our delivery times with products shipping direct from the manufacturer or supplier. 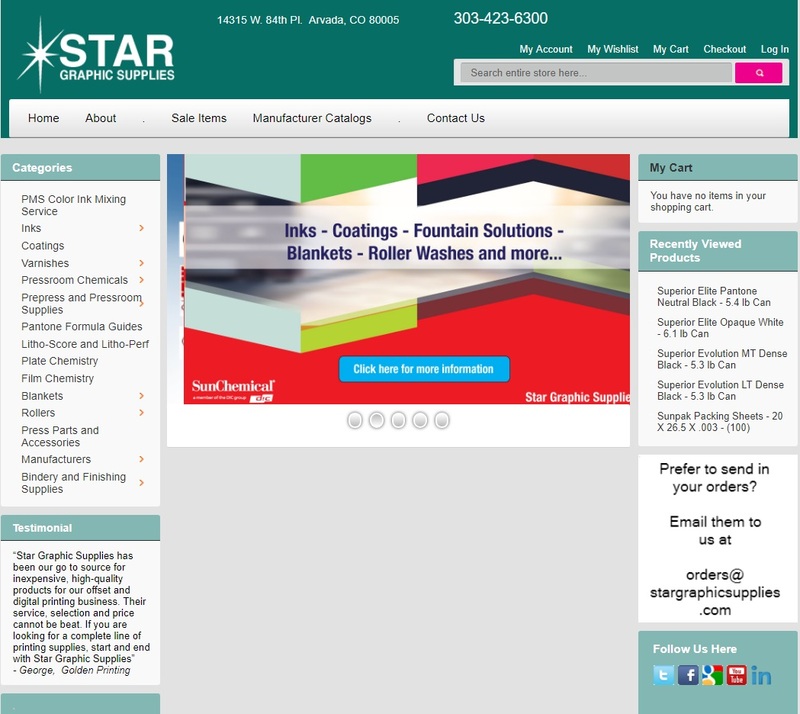 Star's old website (shown here), a industry standard since 2013, was updated in 2019 and our new web store represents the best technology available to offer our products to our customers, in the easiest to order way possible. Star is driven to to provide fair pricing. We do not try and gouge our customers with overpriced products, or sell at below wholesale pricing to drive out competition as some large catalog houses and corporations often do. We may not be the cheapest, but we are competitive. Our prices are often less than advertised retail pricing found on some manufacturer direct sales sites, so you can typically save by ordering from Star instead of from the manufacturer. We have our supplier catalogs online that you can view, and if a product is not on our website, we will order it for you. Please contact us! 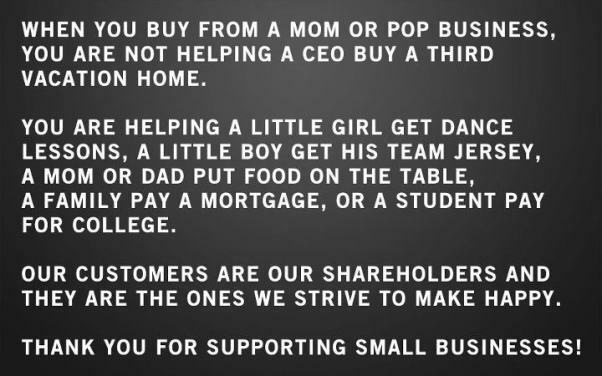 Star is a Small Business and we are proud to support small businesses everywhere! Thank you for your continued support of our company, we appreciate our customers loyalty over the years, and into the future. 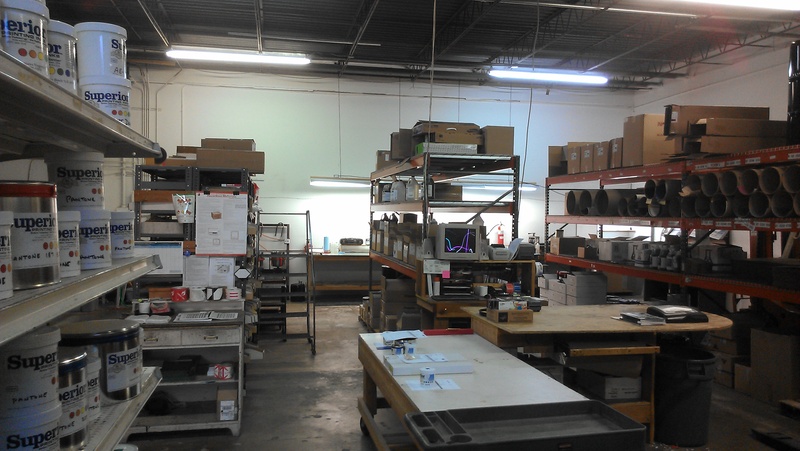 Star Graphic Supplies - Order all your pressroom and print shop products from one source!